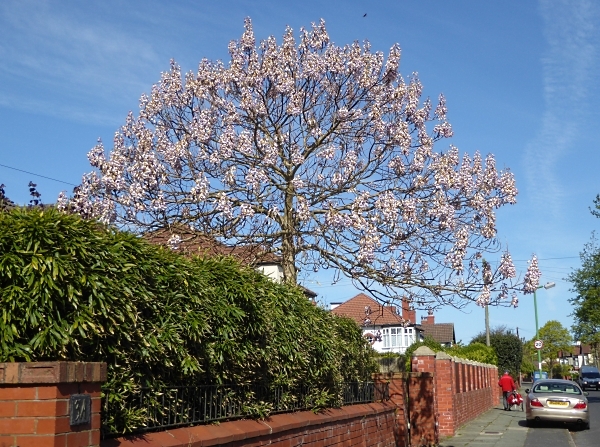 Thanks to a tip-off, I went to see this rare Foxglove Tree Paulownia tomentosa in a private front garden in Crosby this morning. It’s only the third one I know of in Merseyside. 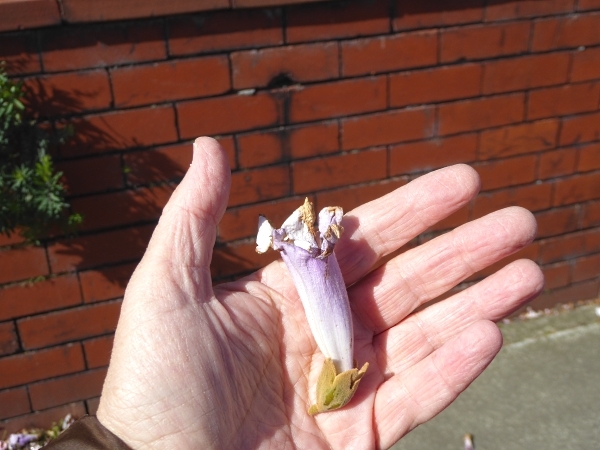 (There’s also a small weedy one in Calderstones Park and a large but shaded one in Henry Street in Liverpool city centre, outside the Chinese Arts Centre.) This one is the best! 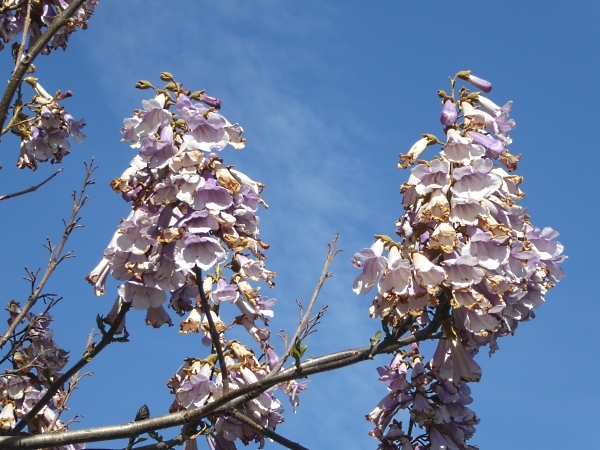 It’s in magnificent full flower, covered in huge clusters of pale lilac blooms in upright panicles. It’s originally a Chinese tree, which was known there as the Empress Tree, because only an Empress could have one on her grave. It seems to be flowering about a month early. Mitchell says it flowers in “late May”, while the Collins guide says “late Spring”. The flowers come out before the leaves (which will be over a foot long). If you want to see it, it’s in Eshe Road North, Crosby, opposite number 14 and between Elton Road and Linden Road.